It’s the first-ever polar bear plunge in Lake Wallapawakee, and Daphne and Lauren are among the eighty or so people who charge into the frigid water to raise funds for animals in need. Daphne makes it back to shore—with the help of a mysterious St. Bernard—but Lauren is dragged out stone cold dead. Now, with her trusty basset hound Socrates at her side, Daphne intends to assist Detective Jonathan Black in his investigation—whether he wants her to or not . 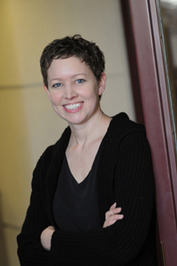 Daphne Templeton is a pet sitter with a Ph.D. in philosophy. She’s a klutz with a soft spot for every stray soul she meets and loves world travel, rescuing pets and baking for dogs and cats. 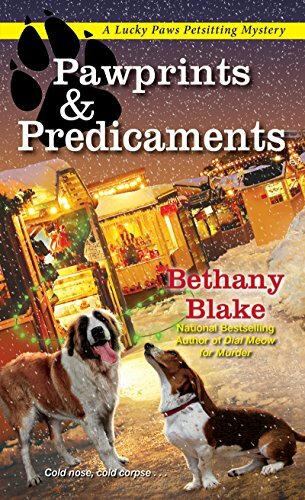 She also has a habit of stumbling upon murders, which she solves with the help of her thoughtful basset hound sidekick, Socrates—and against the wishes of handsome, enigmatic Detective Jonathan Black. Daphne, how did you first meet Bethany? I suspect that it has something to do with the fact that my author also has a doctorate that she never uses, and once owned a small pet sitting business. But I am much more free spirited than Bethany. She’s a worrier. I’m not. Although I don’t come across as very “cool,” it’s probably the scene in which my best friend, Moxie Bloom, and I decide to cross-country ski to a remote house in search of a suspect. Let’s just say that klutzy people probably shouldn’t ski—especially with a Saint Bernard in tow. It was pretty comical. Umm… I have a lot of days like that. Probably too many days, according to my sister, Piper, who is a regimented veterinarian, and my landlord. Although, I have to say, since opening a bakery for pets, I’m much busier—and more responsible—than ever before. When people first meet me, they think I’m a ditz, because I don’t prize organization. That drove Jonathan Black crazy at first. But, once people know me, they realize that I am a loyal friend who will do anything to protect the people and animals I love. My father left our family when I was a young girl. It was a rough time, but I learned forgiveness, and how to be independent. I also watched my mother fight hard to become the family breadwinner—although, honestly, she might’ve carried things a little too far. She’s obsessed with real estate. My best friend is Moxie Bloom, owner of Sylvan Creek’s unique salon for people and pets, Spa & Paw. She lives in an amazing garret apartment and loves vintage clothes and furnishings and classic movies. She’s the funniest person I know—often unintentionally so. Lately it seems as if I’m constantly worried about the people I love being arrested for murder! Beyond that, I suffer from claustrophobia—which becomes quite problematic in my latest story! My best trait is compassion. I look for the best in people and animals, and I hate to see anyone or anything suffer. My worst trait is disorganization. But I am working hard to improve. What do you like best about Jonathan Black. Okay, anyone who reads about me knows that I have a very complicated relationship with Detective Jonathan Black. We got off to a horrible start when he tried to convict my sister of murder. He’s also a former Navy SEAL, while I’m a peacenik, and while I over share, he guards every detail of his past. But I respect his code of honor, his intelligence, his sense of humor, and—if I’m being completely honest—he’s pretty easy on the eyes. Sylvan Creek is a quaint, pet-friendly town in the mountains of Pennsylvania. We’ve actually been described as a bit “pet crazy,” although I don’t see anything wrong with integrating pets into daily life. Sylvan Creek is full of cute shops, and I love to visit the many restaurants, including Wolf Hollow Mill, Franco’s and Zephyr, which is located in an old train station. There’s lots of atmosphere, not to mention characters, in Sylvan Creek. I wake up in my loft bedroom in my tiny house, Plum Cottage. I make breakfast for myself, Socrates, and my orphaned Persian cat, Tinkleston. Next, I’d usually stop by my pet bakery, Flour Power, and take care of any pet sitting clients I have. Then I’ll usually have dinner with Piper, Moxie, my mother—or the guy I sometimes date, Gabriel Graham, who owns the Sylvan Creek Weekly Gazette. Unless I’m solving a murder. Then I might find myself confronting an agitated cat shelter owner, running pell mell through a lonely orchard, sneaking into a “haunted mansion” . . . really, all bets are off, when I’m on a case. Will you encourage Bethany to write a sequel? There are already three more books in the works—watch for lots of changes in my life and my relationships!